DLKW Lowe has poached Dye Holloway Murray's Frances Leach and Chris Bowsher to further boost its creative department. The pair start at the agency this week, reporting to the joint executive creative directors Dave Henderson and Richard Denney. Leach and Bowsher had been at DHM for just over three years, working on brands including The Economist, Penhaligon’s, and Blackthorn cider. They were also part of the team that worked on the award-winning ‘Bumper Book of British Advertising’, created for Creative Circle under the leadership of Mark Denton and Dave Dye. 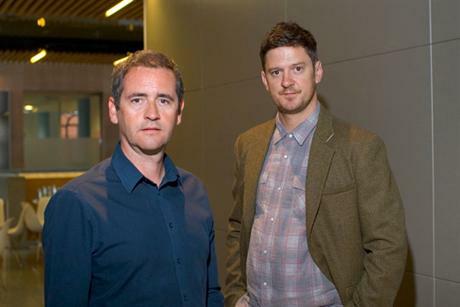 Prior to DHM, Leach and Bowsher spent just over a year working at Lunar BBDO. DLKW Lowe has made a number of changes to its creative department since Henderson and Denney took charge in July. The agency has hired the former Dare associate creative directors Dan Harrison and Jonny Watson as digital creative directors, and Fallon’s Jamie Craven as head of design. Henderson said: "Chris and Fran possess that magic combination of both visual prowess and writing skill. We're very happy they've joined our growing team here at DLKW Lowe"